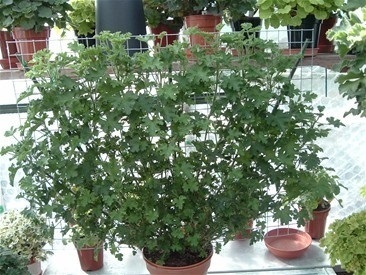 This is a 9 month old plant of scented leaf Carlton Pink Sensation which has been fed high nitrogen (Chempak no2), this has helped the plant to grow more quickly. 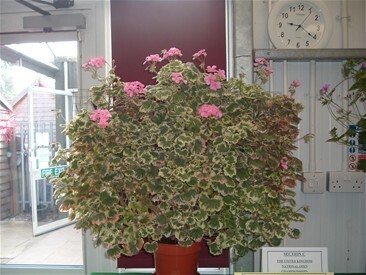 It was put into a 5" pot and given plenty of light to make sure the growth was not weak. 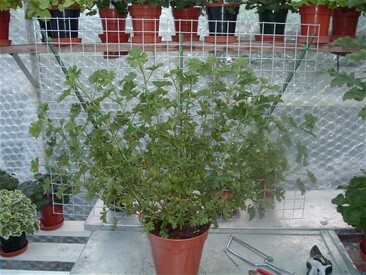 This mesh is 24"x18" which I use to train the plant on, I prefer this to using canes. I use 3 green plastic covered metal rods made to look like canes to support the mesh, unlike canes they will not rot and snap off at soil level. 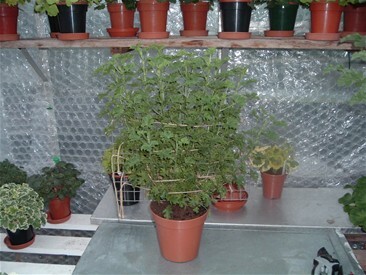 As you can see the plant is starting to look more like a fan, I tie the stems in loosely to allow for growth. This was done just before Xmas 2008. This photo taken on 22.03.09, shows the amount of growth it has made in 3 months. A Regal fan of Georgia Peach. 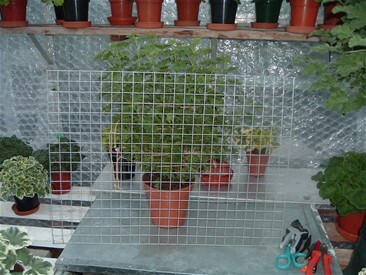 Mrs. J. C. Mappin the bicolour in the photo, quickly put on growth to fill the mesh (16 months). 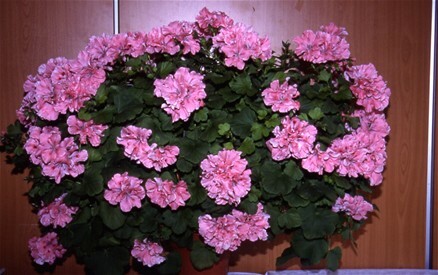 I was disappointed that it did not flower well, so I am hoping that in 2009 it will be better. 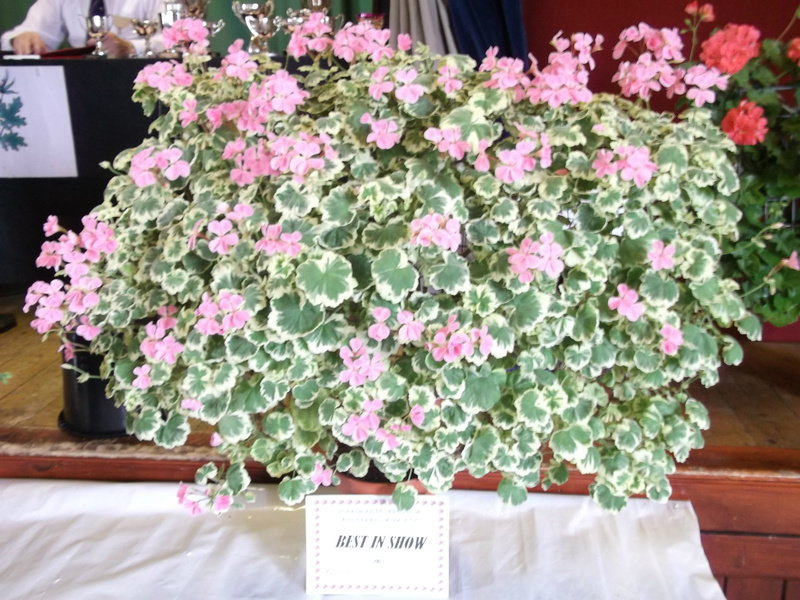 Mrs. J. C. Mappin winning 'Best In Show' at Yorkshire Pelargonium Society Annual Show 2011.